Call it doomed territory, or perhaps more like a poor choice of locations for Tex Mex in a predominantly Hispanic neighborhood. 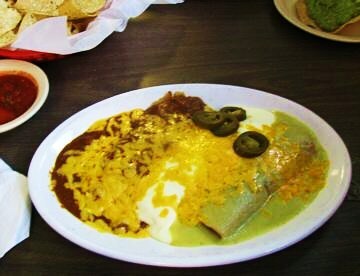 The neighbors on Fitzhugh aren’t going for those gooey beef enchiladas or hard shell tacos that Herrera‘s is putting out. The Fitzhugh neighborhood demands the real deal taqueria style tacos that only cost a buck. We like ‘em both, but the Herrera’s location on Fitzhugh that opened back in June 2011, the same week RedFork opened next door, has shuttered. Word is that we will see a new Herrera’s in a shiny location in the Mockingbird Station digs some time soon in the Margarita Ranch location. President Obama refused to comment. follow the redhook model and their chefs will end up at Bolsa. herrerra’s rocks. jimmy plate is the serious business.